Are You Ready for some Quilt Fest? We Quilt & Not Forgotten QOV will be at the 30th Mancuso Mid-Atlantic Quilt Festival. The 2019 Festival is February 28 - March 1 - March 2, 10 AM to 6 PM and March 3, 10 AM to 4 PM. Hampton Roads Convention Center, 1610 Coliseum Drive, Hampton, VA.
As in the past we will have a Raffle Quilt and again this year we will be raffling of a Singer Featherweight. This years Singer, Serial # AH 425884, was manufactured in Elizabethport, N.J. in 1948. This lot of serial numbers was commissioned on January 22, 1948. The machine has been completely refurbished and painted a beautiful Cobalt Blue by Jason and Rebecca Olah from Olah's Restoration and Services, Moyock, NC. You can find them on Facebook. Please stop by our booth in the lobby area and say hi. If you are feeling lucky purchase some Raffle Tickets. 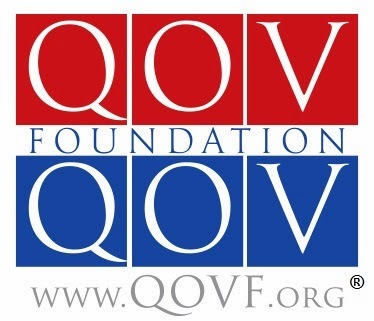 All money collected is deposited with the Quilts of Valor Foundation, and made available to Not Forgotten QOV for authorized purchases of supplies and materials for our volunteers to craft and award Quilts of Valor. We can't thank Mancuso Show Management and their staff for the many years of continued support for the QOVF Mission and to Not Forgotten QOV. The quilts shown are done so to visually display a particular result that may be encountered by a Longarmer during the process. It is not a reflection of poor crafting of any quilter…rest assured the topics discussed here are by no means uncommon or an indication of any skill level. Just as I spend time with Jack the Ripper so do many quilters to make sure their completed top and backs are of the best possible quality and craftsmanship prior to handing it off to a longarmer. The problems discussed may in fact not develop until the Longarmer is prepping the quilt. An example would be a short quilt, lap, baby, etc. A ‘pieced’ back may in fact be provided and because there is not a significant amount of material rolled up on the Take Up Bar…a vertical seam is a non-factor. The contents of “Quilt Preparation for the Longarmer” (here on the blog and at wequilt.org) are by no means written in stone. To some it may not be complete, to others, overkill. It is, based on my experience, what many Longarmer's look for when they take in a quilt. Are we going to get everything, every time? No. We don’t live in an ideal or perfect world. So, we adapt, improvise and overcome. In my case it all starts with the “Spec Sheet” or what others may call the “Intake Sheet.” Quilt Size, thread choice, pattern choice, per inch cost, etc. And there is the all important “Special Instructions/Notes” Box. Here I’ll make notes regarding whether the quilt may me directional and other quilt top/back needs. It is here where I record the loaded quilt measurements once it’s ready for stitching and for Edge 2 Edge once the pattern is laid out the measurement for the starting point for each row to keep the distance between rows consistent. These measurements indicate the left and right side of the quilt and the benchmarks for keeping the quilt ‘square’ throughout the longarming process. Naturally if the top is wider or narrower than the bottom, some adjustment must be made as the quilt is advanced on the machine. But the goal is to keep it as close as possible to the beginning measurements. If one side is longer than the other that too is dealt with as the longarming progresses. I don’t think there is a Longarmer that wouldn’t emphasize the importance of a ‘square’ top. The same measurement across the top, middle and bottom, left, center and right. The back as well should be ‘square’ and the four edges even. Too often backs, when pieced, are not. This too can create difficulties during the process. An even edge…Both the top and back for optimal longarming and accurate measurements as the process is ongoing. This tape remains in place until the bottom has been basted. Vertical seams…may save cost in material. Most Longarmer's will work with vertical seams but if you want to eliminate a possible problem stick with horizontal seams when backs are pieced. These photos depict a pieced back, square, and in this case 10” longer and wider than the top. But you can see the problem a vertical seam can create. We do a lot of Quilts of Valor a year…each one gets 108” fabric cut to 10” wider than the top to be completed. What is left over becomes ‘blender’ to be used later. If you quilt a lot, we recommend 108” fabric for backs. What’s left becomes part of your“stash.” And who don’t like stash? I’m certain, I’m one of the few, that don’t have additional charges. My motivation to longarm is Quilts of Valor. Over the last several years I’ve developed some friends that allow me to longarm their quilts. 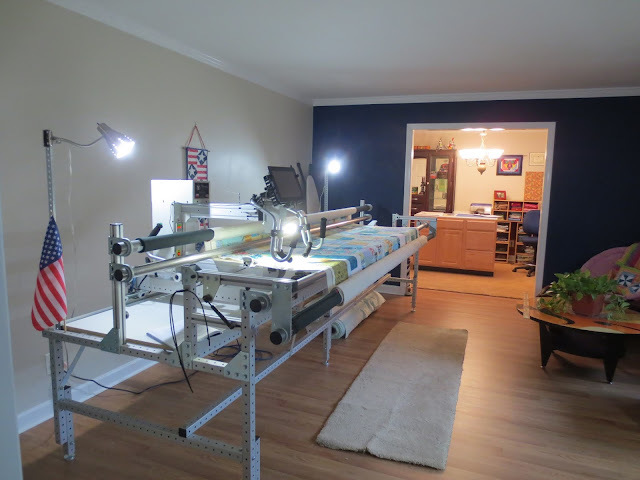 I am very grateful and having plenty of time to longarm is my blessing. As a result of not being a business I don’t have a bottom line so I can do some prep tasks that are otherwise charged for. But that doesn’t mean a quilter should skip essential responsibilities before passing on the top for longarming. Ironing and pressing being one. This is a task and I can understand why longarming businesses charge extra. In the Marine Corps you quickly learned the correlation between Irish Pennants and Push-Ups. But because there are no push-ups in quilting (thank goodness) the lesson isn’t necessarily drilled home. Irish Pennants: loose threads, string or straps that detract from a squared-away appearance. In our case the loose threads can be a problem to many Longarmer’s and can easily create their own problems during the process and take away from that squared away appearance. 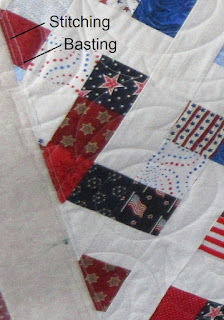 The quilt top and backing should be clipped of loose threads, both front and back. Either could cause snags and uneven stitching. The longarm foot can catch in loose threads on the top and break the quilting thread and easily cause a straight line to veer and a curve to straighten as the quilt is being stitched. They could even be the guilty party of a fabric tear. Loose threads can also get into the wheels and encoders causing skipped stitches. Take the time to remove those loose threads before it gets to the Longarmer. Again, Longarmer’s strive to ‘compliment’ a quilters craftsmanship and enhance the overall beauty of the quilt. With this goal in mind it is understandable for some to charge a fee to take the time to prepare the quilt for longarming by ironing, pressing and clipping loose threads if these tasks are not completed before it gets to the Longarmer. If you are not putting a border on your top, stitch the perimeter of the quilt as close to the edge as possible to eliminate seam separation when tension is applied when loaded on the longarm frame. It may not seem like much…but when it is loaded, and tension is applied the edge stitching goes a long way in aiding the Longarmer in doing a good job in relation to a great job. As much as we would like to take credit for great jobs…it always goes back to the piecer and their efforts in preparing the quilt properly for the Longarmer. Like we say here in Studio 708…Quilt till you wilt…we do. Here's one of the only rooms not 'normally' used for quilting or crafting...Sew Days here are the exception...so it was a natural choice to decorate. If you're in the neighborhood and need a cup of tea or coffee while running about...stop by. Those guarding the chairs allow humans to share. I had a really good Christmas in 97. It was the first year I helped Santa at Disneyland. I had been helping him at other venues but this was my first Disneyland Adventure. Look who showed up to share my lap, make a wish and drop of her list. Even the Longarm Room gets a little Christmas decor. All activity of course being watched over by the Flamingo Santa. So, it is in fact beginning to look a lot like Christmas. So while we have a few minutes between the "Gotta Do", "Should Do", and "OMG Forgot to Do" before the holiday is upon us we just want to take a few minutes to thank you all for your friendship, your sharing with us your participation and experiences in the craft of quilting and for those that allow me the privilege to longarm their quilts...Thank You all. Regardless of the holiday you celebrate may it find you in good health, with family and friends and filled with the joy of your faith and beliefs. When between the hustle and bustle of getting it all aligned, organized and synchronized to perfection (if this happens write a book) please allow your thoughts a brief, uninterrupted pause and send a silent thank you to those who are standing watch on this great Republic 24/7, 365, so that we have these opportunities to celebrate the meaning of our holidays. From our house...Merry Christmas and may this year be a new standard in Happy New Year's. Like it or not it is approaching...So Happy Thanksgiving, Merry Christmas and Happy New Year from Studio 708. I've discussed some of these items previously. This is just a refresher for some and a couple of new testimonials for items that are well worth the money...and well others...not so much. 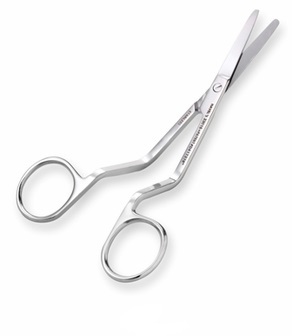 These Havel scissors are an absolute must in my longarm room. And at $12.99 from havelssewing.com it's hard to go wrong. You'll see them at most retailers and quilt shops for $30. The current pair have been in use for 18 months and still working well. I do have three or four still in their packages...just in case. I'm going to give another job well done to the iron I use. The current one more than 18 months in service and never a glitch. 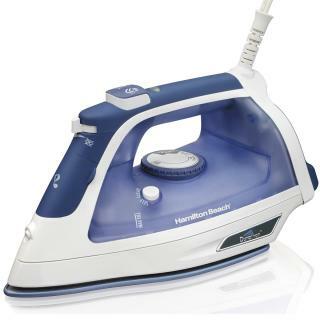 Its predecessor carried the Longarm Room duties for over three years. The Hamilton Beach Durathon 19800. A work horse in this house. Like the scissors I have a back up...just in case the one in the Sewing Room or the one in the Longarm Room takes a dump. The one standing by was purchased on Amazon, on sale for $20. We've owned irons that cost way more than that and not lasted as long or performed as well. We don't recommend the one with the retractable cord. Since, like almost day one, I've had a anti-fatigue mat in front of the Longarm. If you had my knees you would too. The originals were replaced after several years with a slightly higher quality but of the same design. I have been looking at the industrial graded mats for some time. None of the quilt stores or even Lowes or Home Depot carried anything I would consider any where close to affordable. Especially when I was searching for 4' wide by 12' long. Just about every thing I saw was at best 3' by 8'. Several weeks ago I was doing a search via Google and came across Uline. (uline.com). I found what I was looking for in a matter of minutes. I chose the Cadillac Mat, a step up from the standard anti-fatigue mats available but for the 4X12 only $43 more. It was shipped over night for $30. So I have invested $273 for a 4'X12' 5/8" Thick Anti-Fatigue mat. I have just laid it down right over the previous and boy are my knees happy. If you are looking for an mat check ULine out. I highly recommend the Cadillac but I'm sure their standard 'soft cushioning' mats would do the job for many. One thing to remember...most of the mats you see available from quilting sources are 3/8' thick. Spend the little extra and go for the 5/8" in whatever size you need. I've seen 2'X8' 3/8" advertised for over $200 from quilting related vendors. On Uline you can find a 5/8" 2X8 in the standard version for $68. Shop around. As the result of a childish temper tantrum from yours truly I broke, beyond repair, my cordless Dyson which I used daily in the Longarm Room. It was in fact one of the first Dyson Cordless models to my knowledge, the DC44, which we got in 2010. Now the V10 reigns as the leader in the Dyson inventory. The V10 Absolute is $527 on Amazon...The Animal is $476. Not wanting to break the bank for the V10 and liking some of the features of the Shark F80 ($349...on sale for Thanksgiving NOW for $299) I went with the Shark. Which saved us about a $180. Mistake, HUGE mistake. It doesn't hold a candle to a Dyson. Shark does have some features that are beneficial and I will use it until it wears out OR I have another childish temper tantrum. Shark does have a 60 day money back guarantee. But by the time you get it packaged, properly for shipping, pay the return shipping costs and the restocking fee you might as well just burn a Grant. My experiences have shown, half the advertised battery life, loss of suction as soon as the internal screen attracts dog hair, lint, thread and fine particles...in a house with dogs, lint, thread and fine particles it only takes a few minutes to plug up the internal screen and suction drops off dramatically. I'm saving my pennies and dimes and will upgrade, huge upgrade, to a Dyson as soon as practicable. Hopefully the Shark will last that long. Fortunately we have mostly laminate flooring that the Shark can barely handle. For the throw rugs we have two choices, both the Dyson Ball and the Oreck vacuum circles around the Shark. Live and learn...oh yeah...and control your temper. Quilts...yes I've been quilting...here's a few since the first of Nov.
Quilt till you wilt we do. In the Marine Corps your Battalion, Company, Platoon, Squad, Fire Team or Detail didn't make a move or take a step until everyone was aligned. The commands Ready, Front, Cover are familiar to those who have served. Keeping the quilt aligned during the longarming process is as just as important and requires the longarmers attention from beginning to end. I've probably viewed on You Tube or seen on other blogs, like any other longarming processes, numerous ways to accomplish that task. This is My Way. My inventory of items I use. Tape Measure and attachment devices. In this case two small bungee's on the right. Tape measure's Hooked Tab on the left. Now some obvious notations. I have an Innova and the Innova Frame works perfectly with this system and requires very little effort to fabricate. Just another reason why there are quite a few ways to accomplish the same thing. This may not be practicable on your equipment. Once the tape is fully extended and the quilt is positioned for it's first row of quilting I take note of the left and right edge of the quilt in relation to the tape measure. In this case 34" on the left and 114 5/8" on the right. I make note of those measurements on the Intake Sheet for reference. As the longarming process is completed and the quilt is advanced, prior to basting the edges, I keep the alignment of the quilts edges consistent as possible with the measurements recorded on the Intake Sheet. On some occasions the top, left to right, is the same as the bottom. On those occasions when "perfectly square" (oxymoron) isn't applicable keeping the right edge (in this case the 114 5/8") may vary slightly. I focus on keeping the left edge (the 34") measurement consistent from top to bottom. I use a steel tape, or Carpenter's Tape, for several reasons. It won't stretch like a cloth tape might if placed under tension. Being retractable I can quickly move it out of the way if necessary. On my frame it works well and does not rest on the quilt so it doesn't have to be moved out of the way when advancing. Unlike other methods I've seen the movement (advancing of the quilt) doesn't affect the tapes positioning. Not to mention over the years I've probably acquired a dozen or so. There everywhere I look. I have at least four in the Longarm Room. The one I use is also a one inch wide rule...so the numbers are bigger. Necessary when you can't find you reading glasses resting atop your head. It has been my experience that when you start putting a lot of stitching into a quilt there is going to be some degree of shrinkage or displacement of size, in one form or another. This system helps me combat that and keeps my finished product as close as possible to the size it was when the piecer finished his/her crafting of the top. It may not be applicable to your equipment, or not suitable to your style of longarming and you may choose not to use a system at all. This is just My Way and it works for me. All of the words associated with the above were short four letter words. Which is why the below linked video contains no sound...under the advisement of Elaine. A recent development with Panto Vision, basically it crashed and burned. The problem started on Saturday, freezing up and having to restart several times to get a pattern loaded and finish a quilt. Minor frustration. On Sunday when I attempted another quilt...not so lucky. I was never able to get Panto to load without freezing up. Major, huge, humongous, gigantic, monumental, frustration. 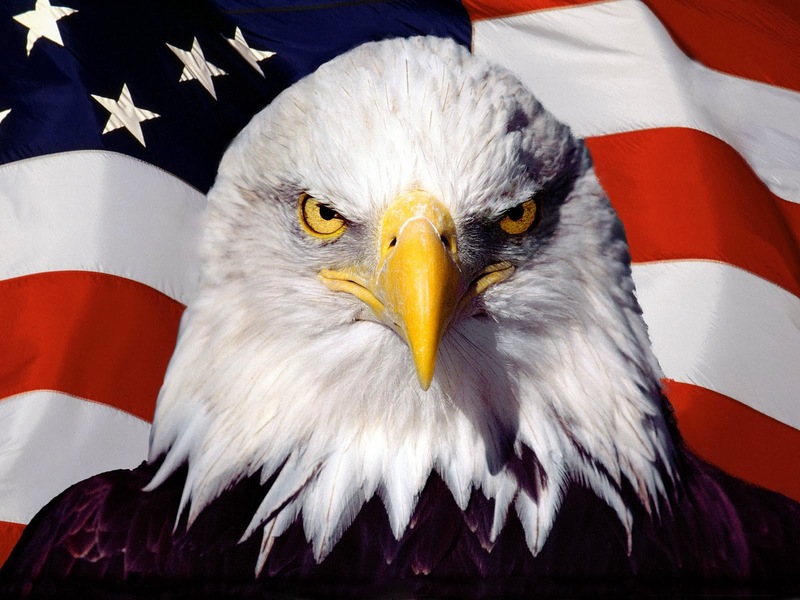 I sent an email to The Longarm Network, Monday morning they (Valerie) forwarded it to ABM. I got a call from ABM but the tech that placed the call couldn't determine a cause and said he would call back after doing some research into the problem. Before I got a call back, from a different tech, which did come four hours later, Greg from The Longarm Network, known in this house as The Longarm Whisperer, called and we started discussing the problem It was agreed we needed to start the process of replacing components. The least expensive option being the cable. Without Elaine's knowledge I 'borrowed' the cable from her 10 Needle Brother. She wasn't home...what harm could it cause? I removed the back of the longarm and disconnected the original cable. I connected the new cable and everything ran as it should. With a huge sigh of relief, it wasn't the blue box or the tablet or a deep rooted software problem, a hastily return of Elaine's cable and a trip to Walmart for a new cable, I was back up and running. With some excitement I called Greg back to let him know. Once again, Valerie, The Longarm Network and Greg, The Longarm Whisperer, saved the day. Happily when I got the call back from ABM I was in the process of longarming another Quilt of Valor. I thanked them for their call and getting back to me as quickly as they did. Thankful and grateful to say the least. 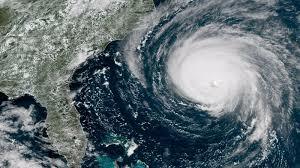 For those that know our area here on the Atlantic Coast we do want to express our sincere best wishes to those that had to suffer the impact of Hurricane Florence. We were blessed as its path stayed well south of us avoiding what could have been, as previously forecast, catastrophic to our area. Thankful and grateful again. I'm dead serious when I say I'd rather deal with earthquakes. There is something to be said about knowing after the fact, rather than having to live with the constant barrage of maybe's from a long list of just about everyone except Mother Nature, she really is the only one that knows, for a week before the disaster is at your doorstep. With all of the natural and man-made disasters we have to face only Tornadoes outweigh Hurricanes...IMHO. More than anything it is the uncertainty that grabs you by the throat. Stay, leave, volunteer evacuations, mandatory evacuations, go north, no west, how much can you fit in your car? At least with earthquakes the house may fall down all over your stuff...but it's still there to dig through. With tornadoes and hurricanes it's uncertain if your stuff will still be in the same county when it's all over. For the last twenty plus years we've had a print hanging over our fireplace. So to spruce it up some we made a wall hanging to take the prints place. Now we need to find some wall space for the print. But in the newly painted and refurbished Family Room it is a welcome addition. Not Forgotten QOV was set up at the Tidewater Quilters' Guild Biennial Quilt Show, once again in the spacious Field House at Cape Henry Collegiate School. As always we had a great time. Re-united with some old acquaintances, made some new friends, saw some beautiful quilts and shared in our commitment and passion for the Quilts of Valor. Our heartfelt thanks goes out to TQG, its gracious members, board and Quilt Show staff. A fabulous show. We enjoyed every minute. Stick-It-To-Me (pin cushions) was one of the participating vendors...I think we only added a half dozen to our collection. The water can below and the two flamingo's are but a few. I think I have six in the Longarm Room...and I hardly ever use a straight pin...but I love the pin cushions. We still have two more events this year, they are listed on the website calendar at wequilt.org. The AQS event is in October and the annual Christmas Craft Market will be in November. Both will be held at the Virginia Beach Convention Center. We hope if you're in the neighborhood you stop by and say hi. The longarm has been getting a workout...QOV and others...I finished quilt number 133 for 2018 yesterday...which puts me over 840 since the Innova, (Mother Teresa, Elaine's Mom) quilted her first stitch. Two inches wider and I have to change the leaders. Just a dash of color. Elaine and the 10 Needle have been busy as well...doing some shirts and labels. I have some samples hanging in the Longarm Room for those that may want a custom label for their quilts. They really do add a nice touch. Whatever you do, custom or otherwise...please label your quilts. I'm running out of wall space. This is not good news for Hobby Lobby.